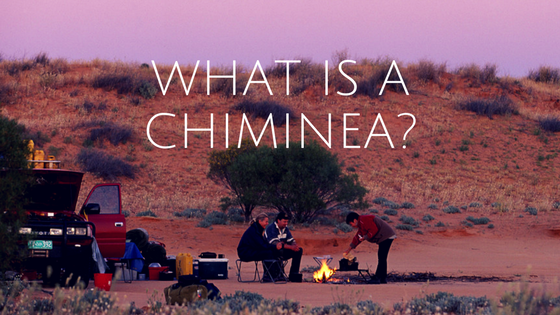 What is a Chiminea and where did it come from? A chiminea is quite simply an outdoor fireplace. According to The Natural Handyman, chimineas date back to 17th century Mexico, where clay pots, kettles, and even homes were common, the chiminea has a solid place in traditional Spanish history where they were invaluable. Practicality and durability were a necessity back then. Chimineas were carefully crafted for several uses, with each one examined for faults. Just as we would not want an explosion or fire in our home now, they certainly did not want it to happen back then. Chiminea sizes were quite varied depending on the intended use. Some were just three feet tall, intended to provide warmth just as a campfire would. Others were quite large, up to six or seven feet, meant for baking bread and other foods. And some, much like the table accents today, were small, holding just one single candle to provide light to a corner of the room. We still see the small versions today, often found on restaurant tables or as accents in a Spanish themed curio collection. In restaurants they help to provide a cozy and traditional atmosphere, bringing a more private feel to the evening. In curio collections, they are often the centerpiece of a Southwest style set of ornaments, right next to that clay cowboy boot with the lasso hanging over it. 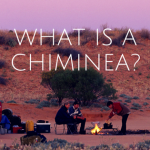 How is a chiminea made? Traditionally, chimineas were crafted from either El-Barro or terracotta clay. Crafted from wet clay, they are designed in two separate sections. The base or bowl or the chiminea is rounded, intended to hold the fire materials, and has an opening in the front. The stack, or neck, of the chiminea, creates the draft and helps to direct the smoke and fire up and out, rather than out the front of the bowl. Both sections are crafted and allowed to dry for a period of at least two days in order to evaporate some of the water in the clay. Without this, the clay would very likely explode during the kiln drying process, rendering the piece a failure. After drying, the pieces are brought together and formed into the final product, which is then kiln dried. This results in what appears to be one seamless and stacked fire pit. After being kiln dried, the outside of the chiminea is painted and sealed, which gives it a basic layer of protection from the elements. Some chimineas are simply air dried instead, a process that takes much longer, but offers you the chance to choose the color of the paint used on the clay. These too must be sealed in order to protect the chiminea. Traditional clay chimineas are heavy, but movable depending on size. While you would not mind moving a three foot chiminea with the help of a friend, the larger ones really should be placed in their forever home the first time around. The joint of the chiminea is its weakest point, making moving them a challenge and risk. For smaller versions, you can place one hand on the lip of the fire bowl and support the stack with the other arm. 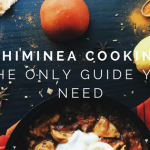 However, it is better that you enlist help from a friend and support the chiminea fully and evenly to avoid dropping it or breaking the stack away from the bowl. There are also chimineas made of cast-iron, steel, and cast aluminum. These are often more modern designs, some heavier, some lighter than their clay counterparts. These also must be sealed and often have a heat-resistant paint on them, however, that paint will burn away in time. These metal cousins to the traditional chiminea are sometimes found in homes as accent pieces, modernized fireplaces, and even pet beds. How, exactly, does a chiminea work? While the chiminea may seem a very simple design, it has the enthusiast in mind from start to finish. From the bowl itself to the tapered stack, the chiminea is formed in a way that will allow you to enjoy the fire, rather than spending all of your time keeping it lit or chasing down errant sparks. The bowl of the chiminea serves as a place to hold your burning material, be it hardwood, charcoal, or even herbs and different types of fragrant grasses. The sand bed you create in the fire bowl insulates the chiminea, keeping the fire from damaging the clay. In addition, the sand will remain warm while the coals cool after a fire, providing radiant heat long after the fire has burned away. The real curiosity lies with the stack of the chiminea. Whereas a typical fire pit or campfire will emanate smoke in whatever direction the air moves, the Reading Eagle states that the stack of a chiminea serves to direct the smoke up and out, over the heads of those enjoying its warmth. This special design will keep your friends and family comfortable and seated, rather than moving every few minutes when the breeze changes directions. A chiminea also beats a campfire hands down in other ways. The opening in the fire bowl works together with the stack, creating a powerful updraft, pulling oxygen into the bowl and keeping the fire hot and flaming. Instead of constantly tending a campfire, you get to enjoy the warmth while the stack does the work for you. This is especially beneficial where sparks and the wind are concerned. Not only will the smoke stack and body of the chiminea protect the fire from wind, you can add a spark inhibitor to the top of the stack. This ensures that you need not worry about sparks setting the surrounding area ablaze, a feature I’m sure your neighbors and guests will appreciate greatly. What can I burn in my chiminea? The suggested medium for your chiminea, no matter the material it is crafted from, is hardwood. Do NOT use fire starters in the chiminea, such as lighter fluid, as this poses a high explosion risk. Keep the fires reasonable. Too much heat can cause the clay to crack or explode, ruining your investment and putting a pinch on your wallet for the damage and replacement costs. You can use charcoal as a medium, however, we suggest either plain charcoal or the self-lighting variety to be safe. This ensures that you will not damage the chiminea. Below is a short list of materials that you might consider using. • Hardwood such as Cherry, Hawthorne, Apple or Birch as suggested by Fiskars. • The FunTimesGuide suggests items like old pine cones or cinnamon sticks for a fragrant fire. • Dried fruit slices, lemongrass, sweet grass, and a few sage twigs make excellent fire starting medium. • Other woods such as Oak and Ash are great. • Using scented oils is an option as well if you drop a bit onto your logs and let it dry before burning! As previously mentioned, Atrium Garden Center states you will need to build up a bed for the medium to lay on. A three-inch layer of sand is the best material for the medium bed, as this will keep the fire from contacting the bottom of the fire bowl directly. Much like you would create a fire pit on the beach, build the sand up a bit at the edges to form a bowl out of the sand itself that matches the fire bowl of the chiminea. Where can I place my chiminea? No matter what material your chiminea is crafted from, you need to consider its placement carefully. These are still fire hazards and require caution and thorough consideration. Below is a list of places you do NOT want to put your chiminea if it will be used for fires. • On a wooden deck or patio. • Under a flammable awning. • Under the branches of a tree, shrub, or bush. • On grass, that tends to be dry or brittle. • On any surface that has been in contact with oil or any other flammable liquid. • Inside your home, garage, or enclosed patio. 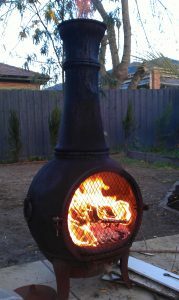 Having gone over those general guidelines, let’s consider the best surfaces to place your chiminea upon. We know that the chiminea will become very hot when used and none of us want a fire to break out suddenly. That would be quite the damper on any evening and is simply not advised as a party trick. With this in mind, it is best to place the chiminea on a concrete slab or sand, and most certainly use a metal stand. The chiminea should have been sold with this important item, but if not, purchase one. You do not want to place your chiminea directly on any surface. This is for your safety and for the protection of your chiminea, as the cold slab could cause the hot clay to break. Overall, the chiminea is an age-old design that simply knocks a campfire out of the water. With the many color options, material options, and easy of use that can be enjoyed, there is no reason to not own one.